No helmet is perhaps as iconic as the Roman galea, or imperial helmet, especially those worn by the Centurions in the Legion. 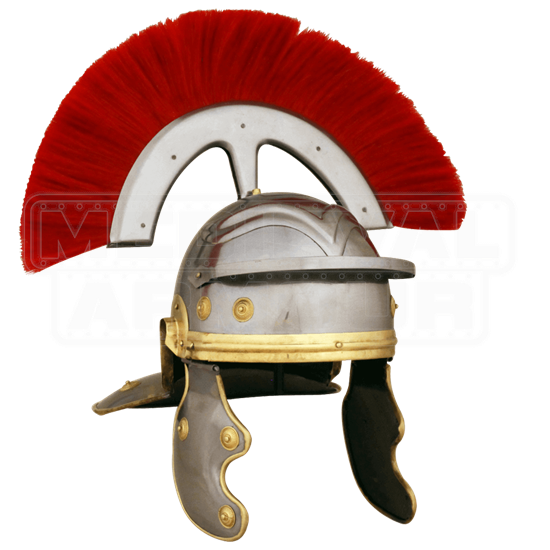 This Economy Centurion Helmet recreates its design for any warrior to own, enjoy, and wear, as much for appeal as for protection. Like the imperial helmets of antiquity, this helm possesses a rounded, dome top that is set with eyebrow embossing along the brow, as well as a visor in the front for reinforced protection. The helmet is adorned with brass about the brim as well, while two hinged cheek protectors hang at the sides. Capped atop the helmet is a historically accurate transversal red plume. This helmet is made entirely from 18 gauge mild steel. The helmet comes with an internal liner, and is offered in one size. 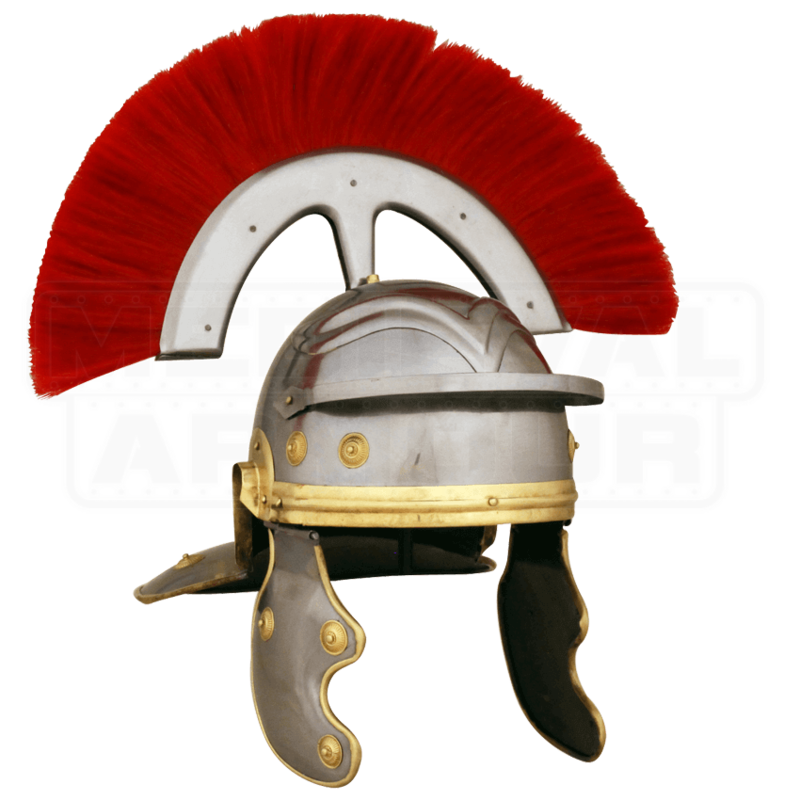 This Economy Centurion Helmet is from a line of helmets and armors that are designed to be cost-effective, offering the maximum protection possible for the lowest price possible, making each piece a fine bargain to be had, as well as solid protection to wear. This style of Roman helmet is a Gaelic imperial helm, noted for the distinctive eyebrow designs on the brow, above the visor. It is thought by historians that the plume top the helm was a sign of rank, with variations in color, pattern, and plume orientation indicating different aspects of a soldier or officers position.